A cloud content delivery network (CDN) is a cloud-based globally distributed network of proxy servers installed in multiple data centers. The goal of cloud CDN is to ensure faster delivery of content while reducing serving costs. The network is inching towards becoming an indispensable part of the internet content, as even today it serves a large fraction of it, including downloadable objects, streaming media (live and on-demand), applications, web objects, and social networks. The increasing volume of data consumption over internet is one of the primary factors stoking the growth of the global cloud CDN market. The growing digital literacy along with the surging dependence on internet is leading to a large volume of internet being consumed every day. The rising penetration of video and rich media over social sites is also augmenting the market. Moreover, the implementation of authorized protocols to meet the terms of cloud storage regulations is encouraging the growth of the market. Other factors driving the global cloud CDN market are increasing shift towards cloud-based services, soaring popularity of online gaming and e-sports, and proliferation of smartphones worldwide. On the flip side, the growing trend of monetization of mobile and computer applications and websites is hampering the growth prospects of the global market since consumers are unwilling to pay for applications. Furthermore, latency issues affects the performance of cloud CDN, which negatively impacts the growth of the market. Nevertheless, rapid advancements in the field are likely to mitigate these issues and unfold ample growth opportunities for the global cloud CDN market. Cloud content delivery network (CDN) is a part of our daily lives. While shopping online, watching YouTube videos reading articles on news sites, or perusing social media feeds, CDN becomes essential. CDN is the obvious backbone of the Internet in charge of content delivery. The global cloud content delivery network market can be segmented on the basis of type into standard/non-video CDN and video CDN. Based on core solution, the market can be divided into media delivery, web performance optimization, and cloud security. On the basis of adjacent service, the market may be segmented into analytics and monitoring, cloud storage, application program interface (APIS), support and maintenance, CDN network design, and others (digital rights management (DRM), access control & authentication, managed domain name server (DNS), asset monetization, load balancing, and cache management solutions). Based on organizational size, market can be classified into small and medium businesses, and large enterprises. Advertising, education, online gaming, media & entertainment, e-commerce, government, healthcare, and others (BFSI, IT, and Travel & hospitality) are based on vertical segment. The report provides a comprehensive analysis of the various factors contributing to the expansion of the global cloud content delivery network market. 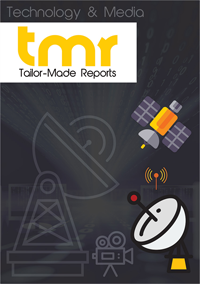 The prevailing trends influencing the overall market operations are also studied in this report in detail. Based on type, the video CDN segment has expanded at a considerable pace in the global cloud content delivery network market, and is expected to exhibit a strong growth rate in the coming years as well. The growth can be attributed to live online videos with a large consumer base and high number of quality video contents over the websites. On the basis of core solution, media delivery will hold a key share in the revenue owing to an enormous amount of media contents such as online videos, podcasts, live RSS feeds, and others. Due to rising trends in online gaming and e-sports, the CDN market is expected to augment at a high pace in the online gaming vertical. The cloud storage adjacent service segment is expected to account for a large market share due to its capacity to retrieve and store web content without any delay. On the basis of geography, the market can be classified into Asia Pacific, Europe, North America, Latin America, and the Middle East & Africa. North America is the key contributor to the global cloud content delivery network market – accounting for the maximum market share, and is projected to hold a strong position in the market through the forecast period as well. The main factors attributing to the market growth in this region are a large customer base, highest internet penetration in the world, wide acceptance of technological solutions, and presence of large number of CDN vendors. The report profiles key players in the global cloud content delivery market based on various factors such as company overview, business strategies, financial overview, and recent developments. Some of the key competitor in the market are Akamai Technologies, Inc., Inc., Level 3 Communications, Limelight Networks, Inc., Alcatel – Lucent SA, Amazon Web Services, Inc., Google, Internap Corporation, Ericsson, Verizon Communications, Inc., CDNetworks, Tata Communications (Mumbai and Singapore), and Highwinds. The key innovators identified are Cedexis, Incapsula, Inc., Fastly, Inc., CacheFly, MaxCDN, CloudFlare, Inc., and Conviva.